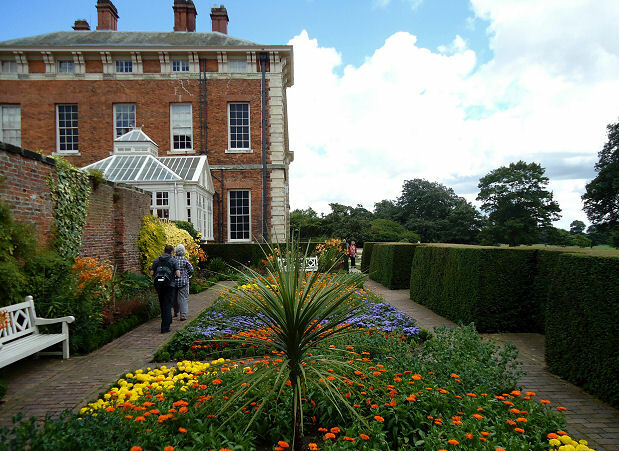 Beningbrough Hall is a magnificent Georgian house which has been roughed up a bit inside. When I went there there was an exhibition indoors about the Royal Canadian Air Force who were stationed there during World War Two and therefore it can be forgiven for this minor upheaval. 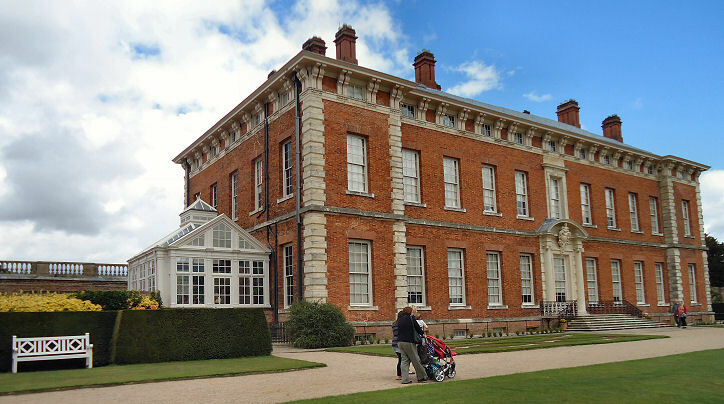 Considering the amount of people billeted there from nearby RAF Linton on Ouse it has actually survived rather well. It now includes a series of paintings from the National Portrait Gallery so there is some grandeur to see. Outdoors the formal gardens are small by the standards of the day. 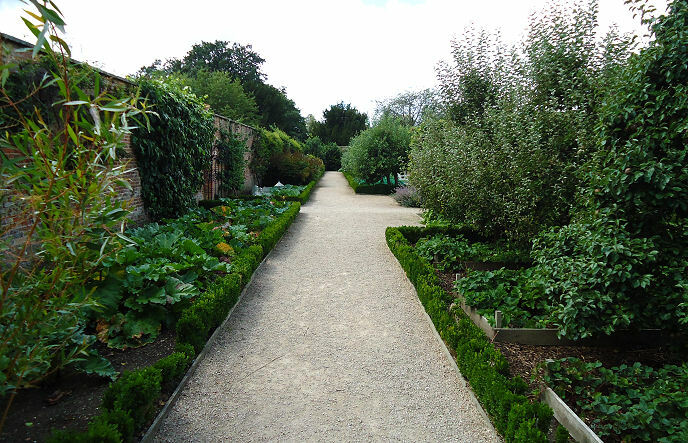 Within the magnificent walled garden there are mainly things to eat which would have been the same during the 1940’s as during the Eighteenth Century. 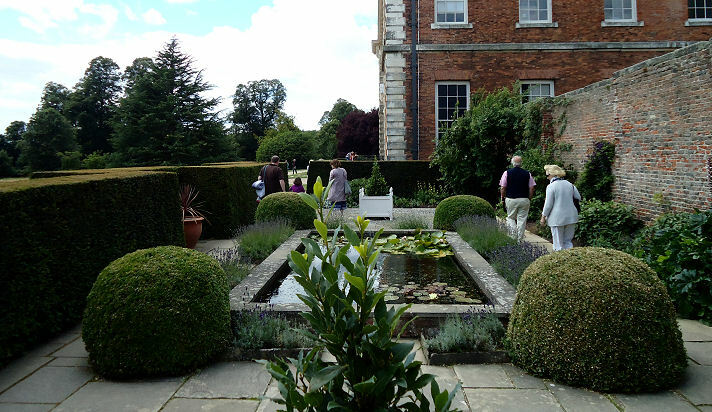 There’s a variety of different planting to see laid out in a formal plan but not a huge amount of topiary work. 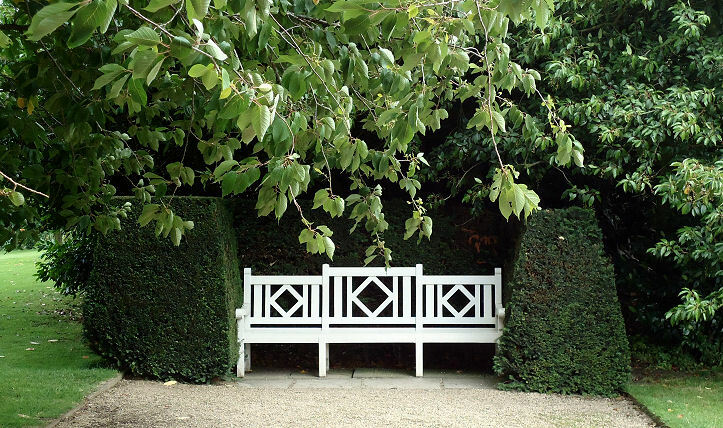 The hedges and specimens that are there pop up up in small area such as this hedged surround to a bench so that you can rest and take in the views of the house from a lower level. 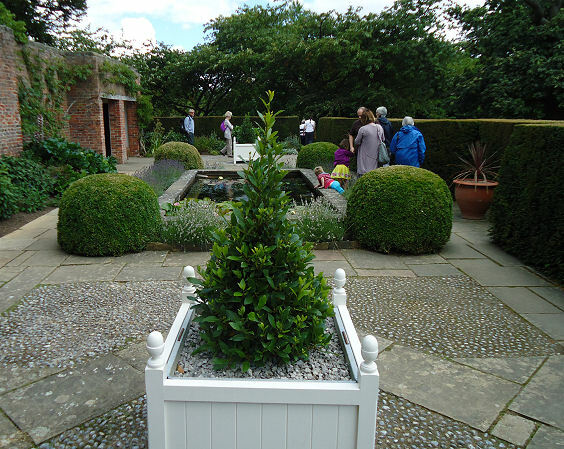 The main areas of topiary are confined to the two rear corners of the house with yew hedges and planting or hedges with box balls, a pool and Versailles planters with bay tree specimens. 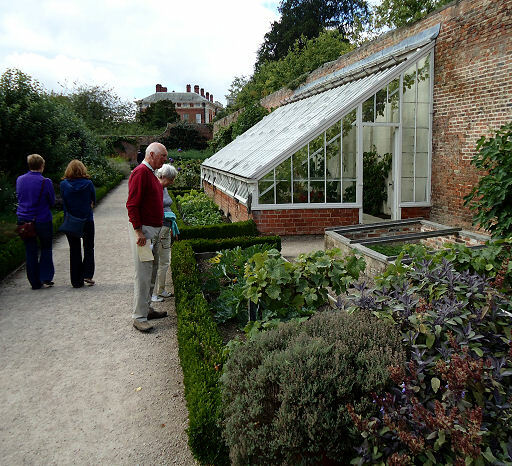 These small gardens actually provide a very calm section where the visitor can disappear into and not be overwhelmed by the sheer size of the rest of the estate. This is Georgian intimacy at its best andm actually if all the gardens where laid out like this it might attempt to be Versailles itself rather than a carefully controlled and elegant space.